Save the Environment from Destruction! 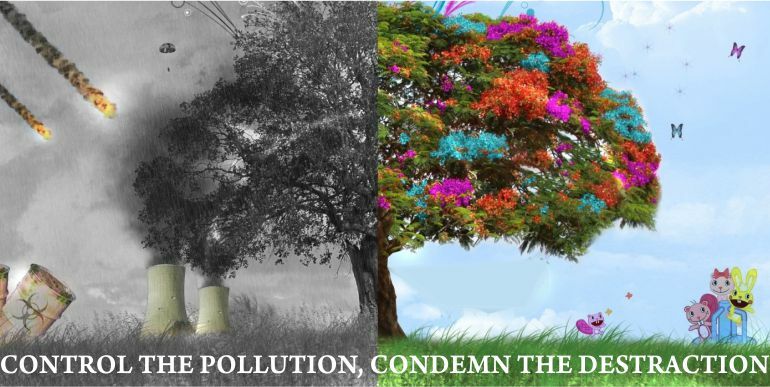 All types of Pollution are deeply concerned with our living Environment and severely effect on our body. However, we are neglecting our soul environment and leaning towards its destruction ! 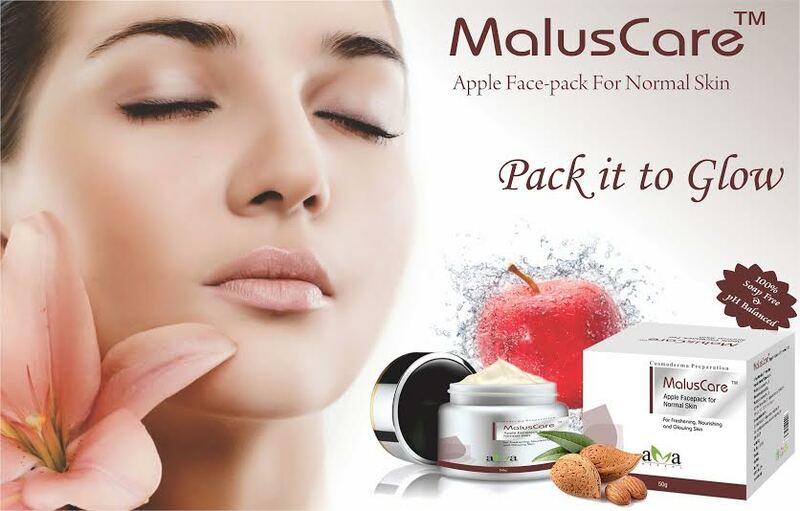 Red Apple enriched MalusCare facepack is especially formulated for your Skin Care. Apple extract acts as natural antioxidant, skin toner, cleanser & moisturizer and provides skin benefits. MalusCare enriched with apple extract which acts as a natural antioxidant, skin toner, cleanser & moisturizer while almond extract increases skin radiance due to Omega- 3 Fatty Acids and Protein which work as a building block for the skin. Papaya helps to restore and rebuild damaged skin and acts as a skin lightening agent. Try Vegetal Bioactives' PapenGlow Papaya Face Pack for Oily Skin with Anti Acne Properties that leaves your skin smooth and radiant. 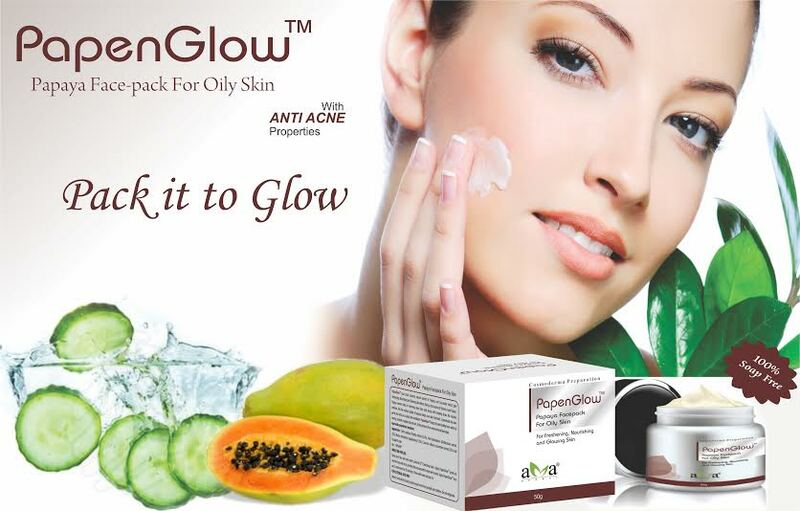 PapenGlow comes with the enrichment of cucumber extract that combines natural acids which act as a skin toner and help to keep skin soft and provides cleansing, nourishing & soothing effects. 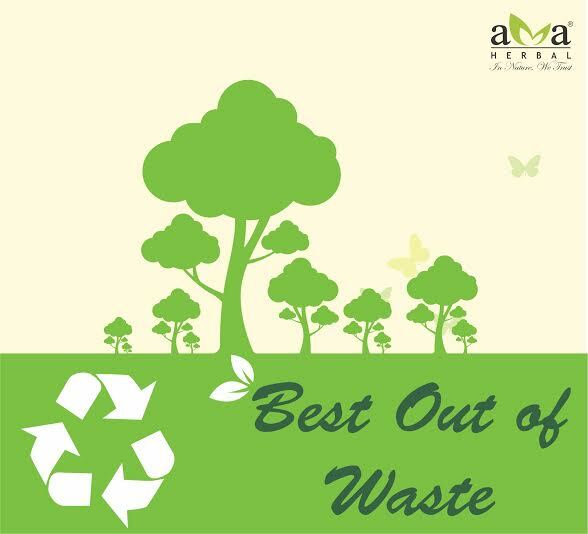 Best Out of Waste ! 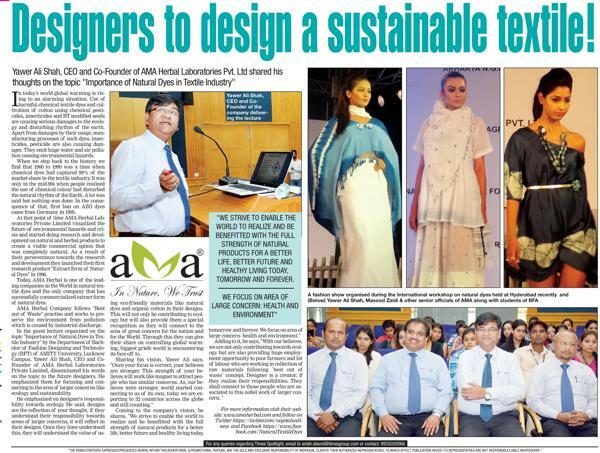 AMA Herbal follows “Best Out of Waste” practice and giving priority of using raw materials. We buy, encourage and organize the collection of such waste. This also generates employment for thousands of people associated with this activity. Do you know eating habits can transform your skin? Eating rich diet is as important as the application of serums and creams on your skin. 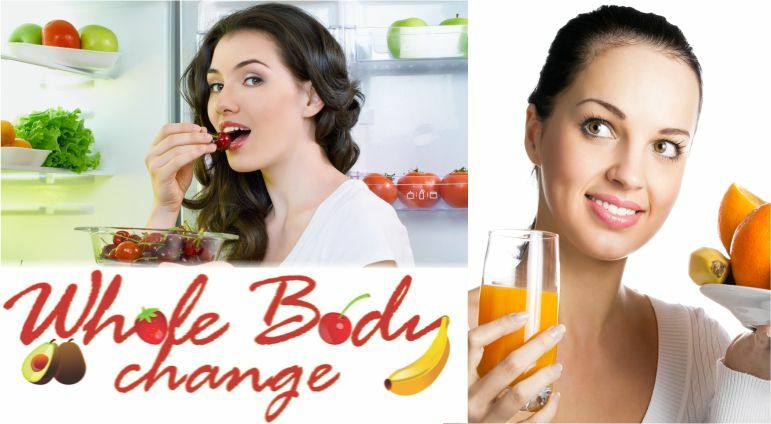 Eating healthy is fantastic and does wonders on your skin and transforms your skin into healthy skin! So eat healthy to Be healthy! 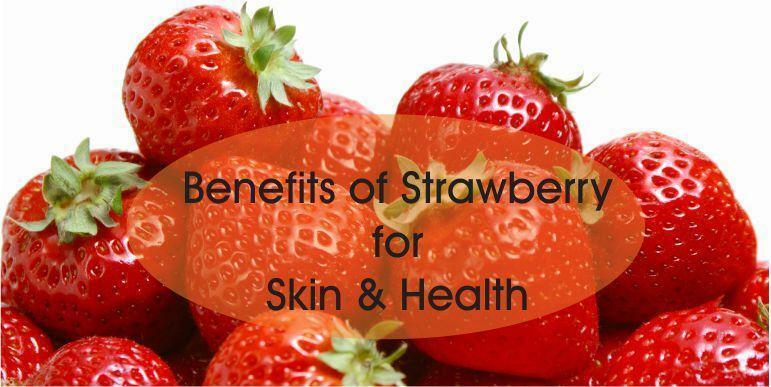 Benefits of Strawberry for Skin & Health ! If you mesmerized juicy strawberry only in the form of smoothies and other desserts.....wait.....this queen of fruit is entrusted with skin and health benefits too. 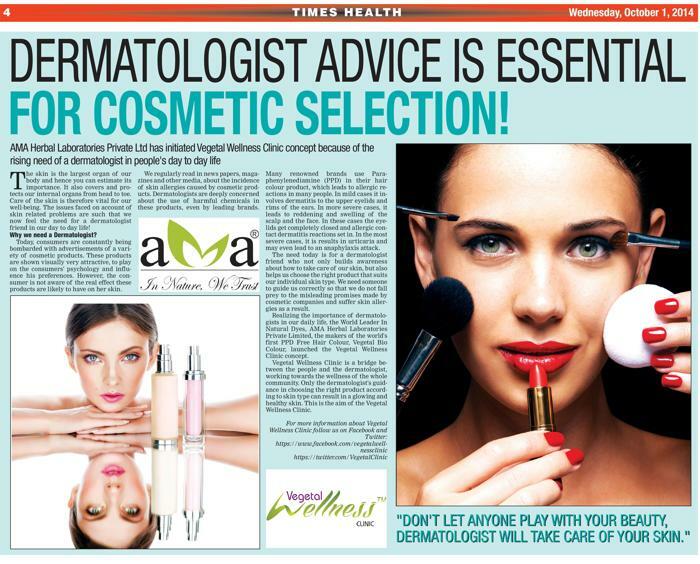 Most of the leading beauty brands use strawberry extracts to enhance your beauty. It can be used as a facial mask & scrub to give wonders for the skin. So eat this delicious fruit enriched with vital nutrients & vitamins not just for taste but for your health, skin and hair benefits as well. Why does my skin feel dehydrated? Lack of required amount of water in the most superficial layer (epidermis) of the skin is known as Trans-epidermal water loss. In the absence of water, the cells do not desquamate normally and the result is thickened, dry, rough, scaly skin. The epidermis is normally composed of fat and protein. The lipid portion of the epidermis helps prevent skin dehydration. When the skin’s fatty oils are removed, the skin loses its protection and loses moisture more easily. 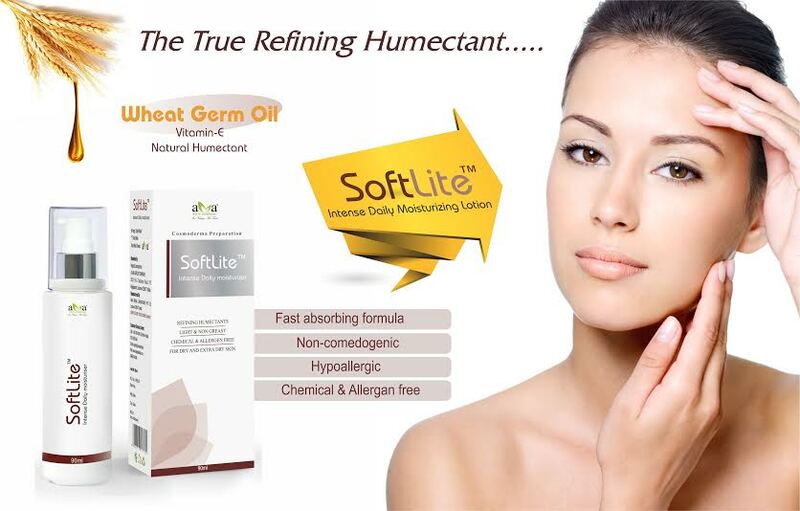 Softlite intense moisturizing body lotion is specifically formulated for dry skin. It intensely moisturizes, softens and smoothens your skin. It contains a unique combination of Aloe Vera, chamomile flower oil, wheat seed oil and green tea oil that have outstanding humectants and moisturizing properties which keep the skin smooth, soft and elastic while maintaining the skin’s natural pH balance. Its light, creamy lotion absorbs easily and provides moisturization for 24 hours, leaving your skin feeling soft, hydrated and smooth. Softlite moisturizing lotion is fragrance-free and non-comedogenic. Are there any special cases for which Softlite may be very effective? Softlite Moisturizing Lotion may be very effective for mild to severe dry skin (Xerosis), itchy skin and adjuvant therapy in psoriasis, atopic dermatitis and eczema. Wheat seed oil (vitamin E): Regenerates the epidermal lipid layer, increases hydration of the stratum corneum, and increases its water-binding capacity. Aloe vera (mucopolysaccharides and gibberellin): mucopolysaccharides help in binding moisture into the skin, gibberellin stimulates collagen synthesis. Matricaria chamomile (bisabolol): promotes granulation and tissue regeneration. Camellia sinensis (catechin): an anti-oxidant, act as anti-inflammatory agent in sensitive skin.